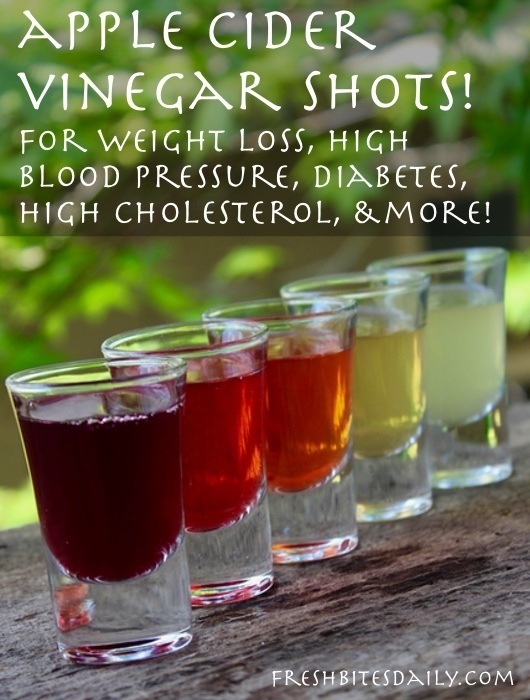 Apple Cider Vinegar Drinks! 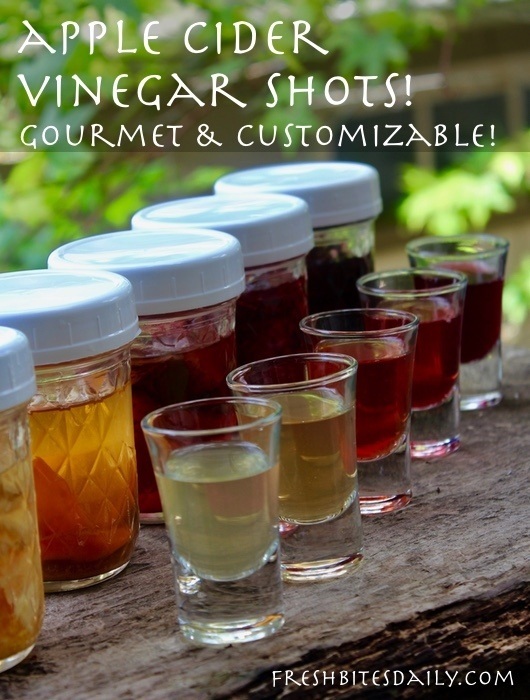 ACV Shots, Gourmet and Customized! Creating your own gourmet line of apple cider vinegar drinks may be the most satisfying and full proof kitchen project you will engage in. If you always start your project with ingredients that you love, you will never go wrong. You can take an opportunity to combine flavors you have never combined before, just to give them a try. It is a fairly inexpensive way to do so. You can make use of herbs, spices, and fruits that might otherwise go to waste. Instead, you can combine them in your apple cider vinegar and come up with your new gourmet drink creation. There is no end to the flavors that you can make into the fun that you can have. I welcome you to your new hobby. All flavors and flavor combinations are fair game. You may get a little more flavor out of the dried and crumbled up herb than out of the fresh herb. This assumes that your dried herb still has flavor and has not been sitting in your pantry for a decade. When you are using dried herbs, be sure to give them a little additional crushing as you add them to your vinegar to release their flavors. If you are using fresh herbs, give them a rough chop with a knife to release some of their flavors. Fresh ground spices will always be more flavorful than previously ground spices. If you are using previously ground spices, make sure they are not too old. Just don’t get the flavor out of them if they have been sitting on your shelf. Fruit that is past its peak is choice for this project. Frankly, we know we are probably not going to use it for anything else. However, catch it before it reaches that spoilage point. Overripe is OK. Rotten is not. The only “wrong“ flavors you can make are those that you do not like. For any of your concoctions, simply add your combination of items to a mason jar — fruit, herbs, spices, etc — and cover them with apple cider vinegar. Cover them with a plastic lid and swish them around. Store them in a cool, dark pantry for a few weeks or for months. The fruit, herbs, and spices will pickle and you can use them in salads and sauces. The liquid is your gourmet apple cider vinegar. Which Apple Cider Vinegar Is Best For Your Health? Which To Buy? I sometimes take this one for granted, but this is a very important question and, whatever you do, don’t buy those plastic gallons at discount stores labeled “apple cider vinegar.” I suppose you could use it for cleaning but for drinking, you want a real apple cider vinegar that was actually fermented, with a “mother.” The “mother” is just the culture that was used to make the vinegar. These vinegars are sold in quart-sized glass jars and tend to have some sediment in the bottom. Don’t let the sediment deter you. It’s just some apple-ish sediment. Shake your vinegar occasionally to mix it up. If it really gets to you, don’t shake it up, just let it sit and leave it in the bottle when you hit the bottom. Some of these brands also sell their vinegar in gallon plastic jars but they do say on their label that they are brewed “with a mother.” That’s the key, not the glass per se (though I buy apple cider vinegar in glass). As for which to buy, I buy this one from our Amazon partner (here). I can often find it about a buck cheaper a bottle in a Mexican market here but, wherever you are reading, you’re not likely to get a price much lower than that Amazon price. This is a basic concept for customized apple cider vinegar shots. In a quart jar, layer fruit with herbs and/or spices. Cover in 2 cups of apple cider vinegar. Cover the jar with a tight-fitting plastic lid. Give the mixture a swish and place it in a cool, dark pantry for two weeks or for months. When you're ready for the vinegar, strain out the solids retaining the liquid as the vinegar. Use the fruit, herbs, and spices in salads. There can be too much of a good thing and, in the apple cider vinegar world, “too much” may really be “too strong.” Be sure to dilute your apple cider vinegar. The ACV can be hard on your teeth and on the delicate tissues in your mouth and your esophagus. Drink it diluted. I typically grab a tiny little 4-ounce glass out of my cabinet, add a tablespoon of apple cider vinegar, top it off water water, and drink it. You might want a bigger glass because mine is a pretty strong concoction. Then get in the practice of having another small glass of water and swishing it around in your mouth before you swallow it. This will keep that acidic ACV from sitting on your tooth enamel. Are apple cider vinegar shots good in juice? A: Heck yes. Gourmet ACV was made for juice! The juice is going to add a nice sweetness to play off the acidity and give you a really great flavor experience in that drink! Would you flavor the apple cider vinegar shots with honey? A: Honey is a great sweetener option and will play well with any of your shots that do not have fruit or something else sweet in them. Can you sweeten the apple cider vinegar shots with stevia? A: Stevia is my sweetener of choice just because of the carb control factor. It works well to help that ACV go down a little easier. When should apple cider vinegar be taken? A: Because of its role in weight loss before meals and in digestion, I would get into the habit of taking it 10-20 minutes before a meal, just as you are preparing the meal for yourself. As I’ve mentioned, I’d dilute a tablespoon in at least four ounces of water, down it, and then down some more plain water, swishing it around in your mouth a bit before you swallow, just to cleanse your palate and to get the highly acidic vinegar off your teeth. Can I use apple cider vinegar without a mother? A: How sad for something not to have a mother! Ha ha. Really, no. This guy needs its mama. I don’t know what that stuff is that gets sold for a buck in a plastic jug but that’s not the stuff you want. Can I use apple cider vinegar without diluting it? Without adding water? A: I don’t think you really want to down it straight and I just wouldn’t. It’s strong. It could affect the delicate tissues in your mouth and esophagus. I dilute my tablespoon in four ounces of water and that’s pretty strong as it is. I’d consider that a minimum and, then as I have mentioned, I would follow that with some plain water, swishing it around in your mouth a bit more just to clean the apple cider vinegar off your teeth. Do apple cider vinegar drinks help with weight loss? A: Yes, there is solid research that the acetic acid in apple cider vinegar helps us feel fuller sooner when we are eating, causing us to take in fewer calories. Take a tablespoon of ACV ten minutes before you meal, diluted in a small glass of water. I expect you’ll notice a big difference in how much you can eat. It is worth a try in any case! Does apple cider vinegar help with blood sugar? A: Yes, consume a tablespoon of ACV before a meal, diluted in a small glass of water. Add this regimen to a diabetic-friendly diet and lifestyle. Does apple cider vinegar reduce your cholesterol? A: Yes! Isn’t apple cider vinegar GREAT? ACV will help lower your bad cholesterol levels and raise your good ones. Have a tablespoon daily. 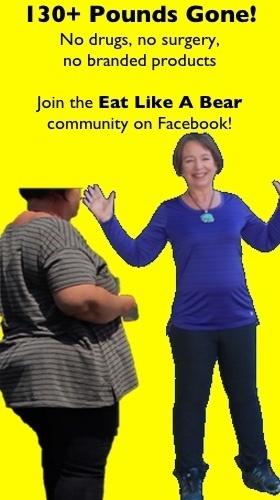 If you are overweight, not the advice on weight loss above. Does apple cider vinegar reduce your blood pressure? A: Yes, in more heart health news, ACV will also help lower your blood pressure. Take it daily. However, if you are also overweight, do take it regularly before meals as described above. Apple Cider Vinegar Infused With Turmeric and Ginger! Apple Cider Vinegar For Sunburns With A Surprise Inside! Apple Cider Vinegar Stepped Up A Notch: Make Your Own Gourmet Vinegar!